Two like-charged 500-gram spheres attached to rigid rods form an electroscope as shown in the animation (position given in centimeters and time is in seconds). You may drag the spheres to whatever position you wish before or during the animation. 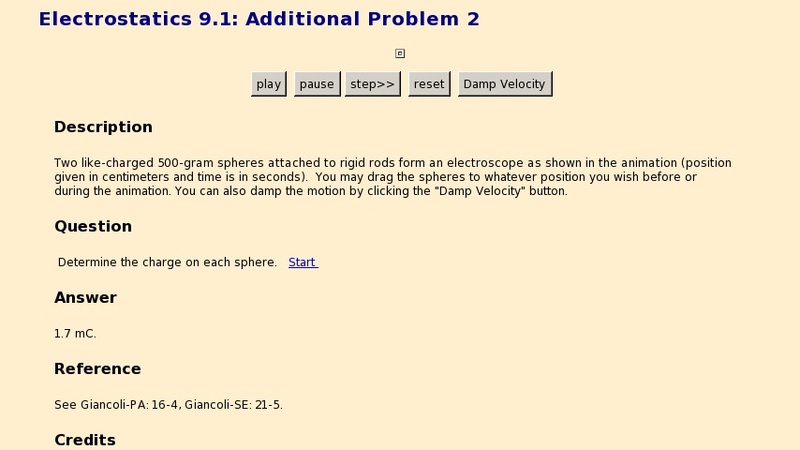 You can also damp the motion by clicking the "Damp Velocity" button.